THE B-MOVIE NEWS VAULT: Regular Updates Will Resume Soon - Please Stand By! Regular Updates Will Resume Soon - Please Stand By! Sorry for the inconvenience Vault Dwellers! Due to severe Winter weather this past Friday, the power was knocked out at Vault HQ for nearly the entire weekend! That was (almost) three days of no lights, no running water, no ability to spread heat through the house, and naturally, no internet. As another storm prepares to roll into the area, we're hoping that our power company is up to the task of keeping the electricity on, or at least getting the grid back online sooner so we're not cast back into the Dark Ages again. That being said, regular updates at The News Vault will resume tonight! 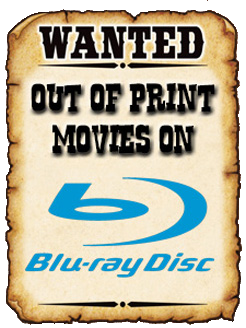 Expect a new STOCK YOUR VAULT entry, updates to the UPCOMING BLU-RAYS page, and maybe even something new at the main site! Also, if you haven't already done so, The Vault is still in the running for BEST BLOG/WEBSITE OF 2017 in the Rondo Hatton Classic Horror Awards! If you're enjoying our steady stream of content (and Facebook posts), then please consider casting a vote for The B-Movie Film Vault! Many thanks everyone - stay tuned for new content!